Longview, Washington - The Cowlitz Black Bears enter their tenth season of West Coast League play in 2019. The summer collegiate baseball team, which uses David B. Story Field at Lower Columbia College as their venue, formed in 2009 and scheduled their first season for the summer of 2010. "This is a very exciting time for us," said General Manager Jim Appleby. "We're working hard to make all aspects of the fan experience better than ever." With the release of their 2019 baseball schedule, the Black Bears announced a special Preview Night on June 2 featuring the Ridgefield Raptors, a new West Coast League South Division rival team. 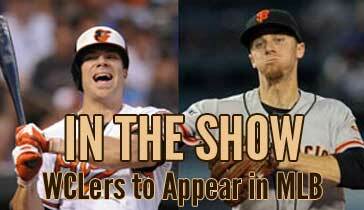 The official home opener versus the Portland Pickles is June 7 and will conclude with a post game fireworks show. Many of the most popular nightly promotions will return as well, such as the "Shirt Off Our Back" auction, an all-new Gallery of Diamonds Ladies Diamond Dig, and the successful Chuck-a-Ball for Charity event. "I'm happy to be part of an organization that continues to find ways to grow and thrive," said Head Coach Grady Tweit. "Our enhanced recruitment efforts will definitely be reflected on the field this summer." In 2018, the Black Bears launched a new campaign to benefit Youth & Family Link in Longview. Sponsored by Heritage Bank, Chuck-a-Ball made it possible for families to enjoy a night at the ballpark which otherwise might not have been able to. Appleby says the coming season holds even more surprises. "We're making major improvements in online ticketing and concessions. In addition, we're launching incentives to make season tickets more affordable for everyone." Appleby says game tickets are being redesigned and will include a foil strip to celebrate the team's tenth anniversary. He also revealed that former Kelso High School and LCC Red Devil alumnist Cort Carpenter will return to Story Field for a post-game concert in July. Carpenter, who now lives in Nashville, has since become a popular country music performer. He released a new single titled "Ex 'em" on October 10. 2019 season ticket sales and renewals will begin Monday, November 5. 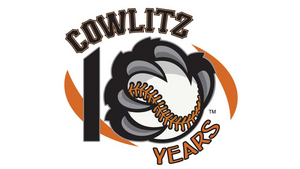 Updates on team developments and links to social media can be found at www.cowlitzblackbears.com. Ticket information and official merchandise are available online or at the Black Bears office at 1717 Olympia Way, Suite 102, Longview, WA, 98632 or by calling the office at 360-703-3195.